Triptych Journey’s mission is to tell compelling world stories that speak to all of us. Using multimedia arts and expression, Triptych Journey connects audiences to vulnerable people, cultures and ecology, instilling values of conservation and preservation in a rapidly changing world. The first project of Triptych Journey explores the fantastical, profound, and continuously unfolding story of Guru Rinpoche: Padmasambhava. 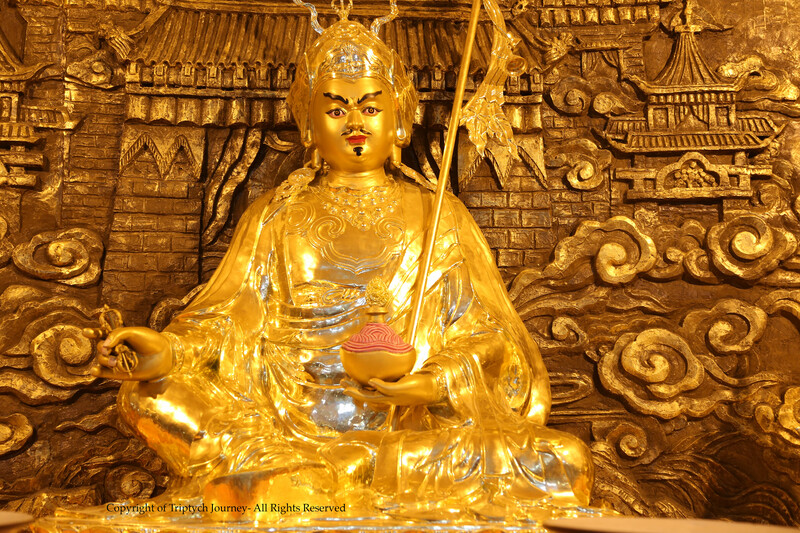 Padmasambhava brought Buddhism to Tibet in the 9th Century, taming the malevolent local spirits and introducing the Dharma to a reluctant, aggressive populace. Although it’s been more than 1100 years since his original visit, Padmasambhava continues to have a primordial hold on Tibetan religious and cultural expressions. In the fall of 2013, Triptych Journey artists traveled through the Himalayan Region following the story of the Guru. The artists, including a photographer, choreographer, writer, and filmmaker, documented their journey across Mongolia, Nepal, Tibet, Bhutan and India. Their creative expressions will be woven together through film, performance, and multimedia installations. Triptych Journey’s Padmasambhava Project seeks to illuminate the fundamental importance and relevance of the Tibetan tradition. The goal is to instill similar empathy within the audience and build commitment to the conservation of the Tibetan culture. For more information about Triptych Journey, contact Director Marc Wennberg- marc@triptychjourney.org.